Here is another great flower tutorial! 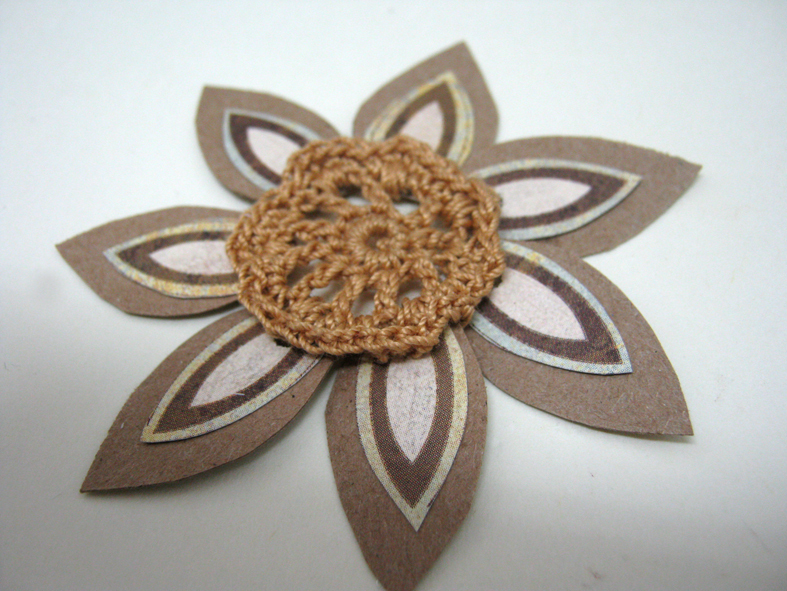 This time a combination of two materials I really like: paper and crochet yarn. 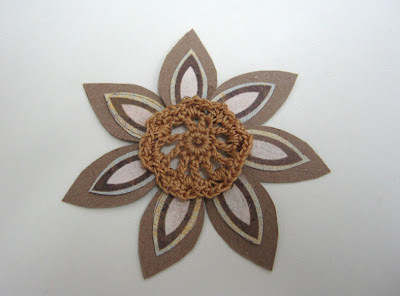 This flower is a merger of the two materials, and when I say a merger I mean these two materials are connected to each other and can't be separated, The paper petals are crochet to the flower center and not glued! (I initially tried it with fabric but the hole kept tearing so I replaced it with paper). 1. 6 chain stitches and close with a slip stitch. 2. 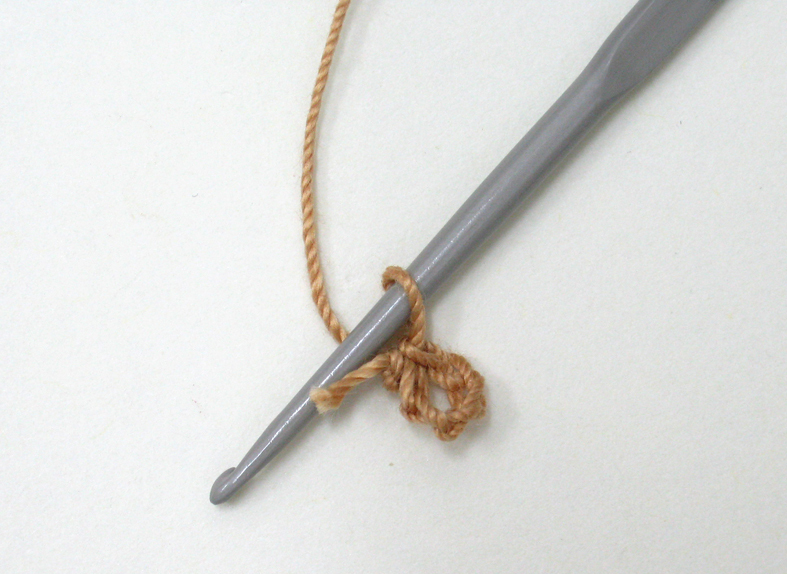 Row 1: 9 single crochet stitches and close with a slip stitch. 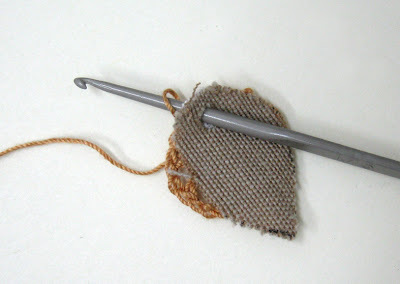 The single crochet is not through the chain stitch but around it. 3. Row 2: double crochet stitch, 2 chain stitched. Close with slip stitch. 4. 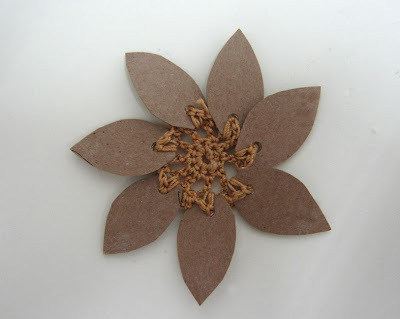 Cut 7 petals in two different sizes. Punch a hole on the bottom of each petal. 5. 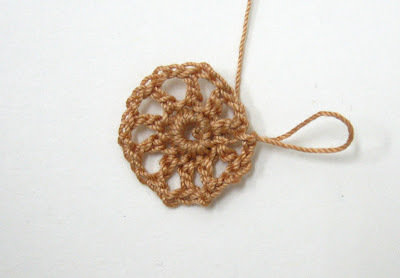 Row 3: crochet the petals: take one large petal on top of it put a small petal. Turn them over. Put the needle through the holes and to the chain. 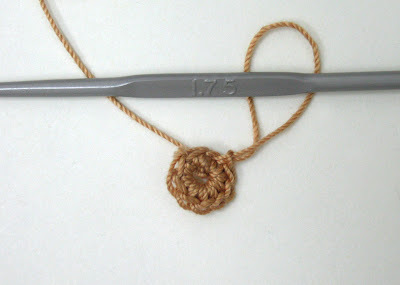 Then crochet 2 single crochet stitches. Turn the petals back up. 6. Then stitch 2 chain stitches followed by 2 single crochet stitches. The single crochet stitches are not through the chains but around them and into the hole created by the stitches in the previous row. Then repeat with another petal. 7. Row 4: 42 single crochet stitches. Since I'm not a professional crochet artist writing the instructions was a little difficult. 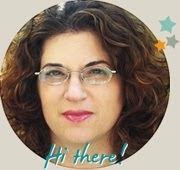 Please feel free to ask me any questions or even email me!